 Don Dulchinos, co-chair of the DEVC EV Charging Committee, invites you to join the EV Owners of Colorado (EVOC). The purpose of the group is to aggregate the voice of EV owners to convince government entities, business and property owners and the general public that investing in EV infrastructure encourages the growth of the EV market, with the benefits to all of cleaner air, a growing clean energy industry, and reduced dependence on oil. Email Don at d.dulchinos@comcast.net, with your name and the town where you live. Your name and email will not be shared, but you will be counted as one of the (growing) number of EV Owners who are delivering a unified message. A preliminary blog is set up at evocolo.wordpress.com, with a new site in development. Don hopes EVOC can support the larger goals and activities of the DEVC EV Charging Committee. A quick note: the Committee already has worked with the Clean Cities Coalition to set up an EV infrastructure presentation to the Boulder Chamber of Commerce. Date to be determined.